Preheating steel before welding is common practice. Sometimes we apply heat after we are done welding as well. Other times we apply heat between passes to maintain the minimum interpass temperature. Many use preheat simply because it is written in the WPS, but not really understand why it is necessary. Preheating is used primarily to reduce the cooling rate of the weld, heat affected zone and adjacent base metal. This reduces susceptibility to cold cracking. Reduces shrinkage stresses in the weld and heat affected zone (HAZ). This is especially important in joints that are highly restrained. When a weld bead cools it shrinks and wants to pull the base material towards it. If the joint is restrained it creates a lot of stress because the weld is trying to pull the base material. By preheating the HAZ and the weld cool at similar quenching rates thus reducing the stresses created by shrinkage. Preheating slows down the cooling rate in the 1600⁰F to 1330⁰F range which is the critical temperature range. This prevents excessive hardening and reduced ductility of both the weld and the HAZ. When a part is quenched rapidly it forms martensite. Martensite is hard and very brittle and this will negatively affect the mechanical properties of the weld. Reduced elongation and lower charpy v-notch values. Preheating slows down the cooling rate down through the 400⁰F range. This allows for more hydrogen to diffuse out of the weld and HAZ and avoid cracking. 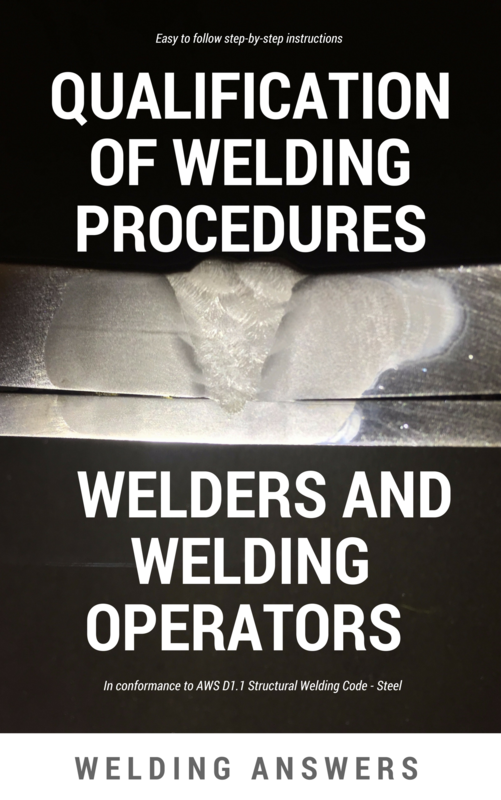 Hydrogen can produce cold cracking while it is present in the weld and HAZ. See post on Hot Cracking vs Cold Cracking for a more detailed explanation. If preheat is necessary there are different methods for determining the temperature needed. An easy one is to reference code books. Another is to ask the manufacturer of the steel. Yet another way is to use calculators that provide this value based on the chemistry of the steel. For more read 5 Methods to Determine Preheat Temperature. Calculators are available for determining the required preheat based on the base material’s chemistry. 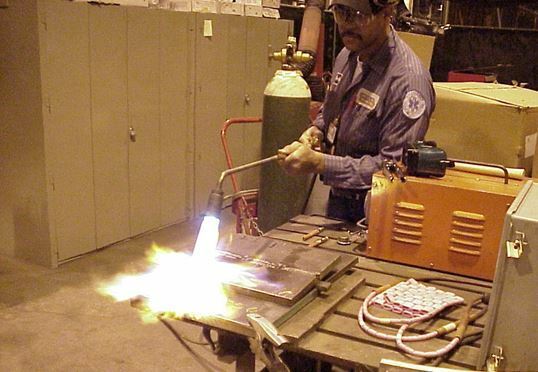 It is important to keep in mind that preheating is not as simple as applying heat to the joint to be welded. If we need to preheat to a temperature of 225⁰F, we need to take the temperature reading no less than 3 inches away from the joint along its entire length. Everywhere the temperature must be 225⁰F at a minimum. The thicker the base material the larger the heat sink. So we can’t just preheat where we’ll start welding and assume the heat of the arc will take care of the rest. Once the base material thickness exceeds 3 inches the distance from the joint at which the preheat temperature reading is taken must be equal to the thickness of the base metal. If we are welding dissimilar thicknesses go with larger value. Also, if you are welding different steels which require different preheat temperatures always go with the higher of the two. There is an exception to this. If you are welding quenched and tempered steels always consult with the manufacturer of the steel. Certain preheat temperatures and interpass temperature may not be exceeded. The amount of preheat necessary varies depending on the type of material and the material thickness. 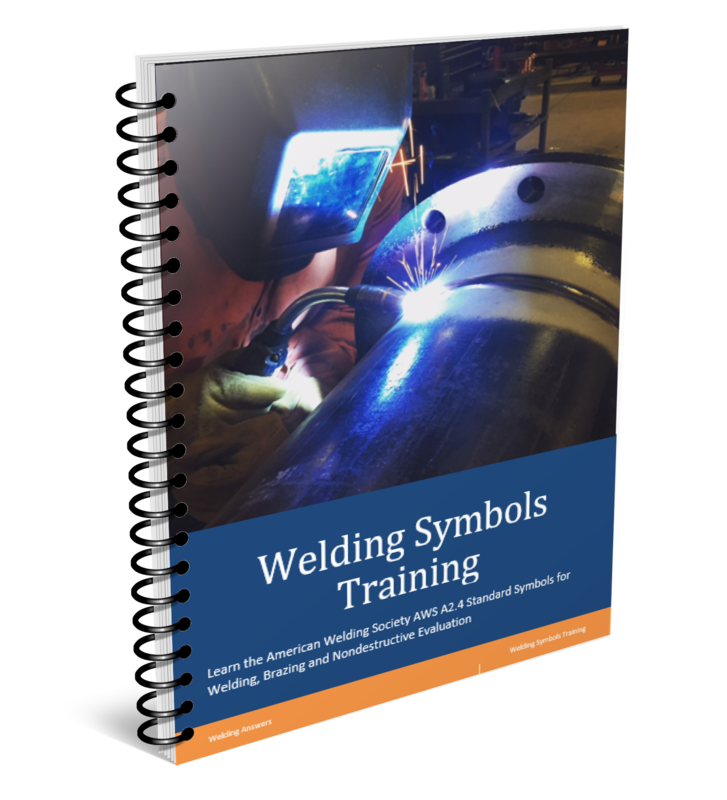 Fortunately the American Welding Society and the American Institute of Steel Construction have established preheat and interpass temperature requirements for commonly welded structural steels. 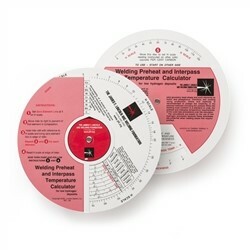 Interpass temperature refers to the temperature near or around the weld between passes. The D1.1 Structural Welding Code specifies minimum preheat and interpass temperatures based on the base material, the thickness and the process to be used. This is on table 3.2 of such code. A similar table can be found on the Procedure Handbook for Arc Welding (Table 3.3) – Minimum Preheat and Interpass Temperature. Not sure if preheat is necessary? 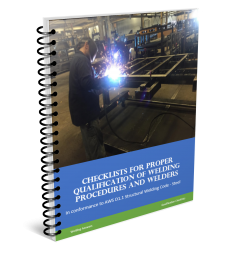 Here are some things that you should look for, and if present, consult with your steel supplier, your welding engineer, production manager, or whoever is in charge of welding operations. You are welding outside and the temperature is below freezing. Thanks for the comment and for being a valued reader. How does overheating, welding too slow, or even preheat/postheat affect grain growth in the metal? Many factors influence grain size – type of metal, welding heat input, use of preheat, interpass temperature and the addition of elements such as Al and V. In general (for steels) high heat input and the use of preheat will slow the cooling rate down which will typically reduce grain size. This is associatde with favorable characteristics such as improved mechanical properties. Additionally, multiple heating an cooling cycles will create grain refinement – thus obtaining smaller grains and increasing mechanical properties. Welding speed affects this as well. A very slow travel speed can produce a large weld bead. This will produce very high heat input, or at least higher than that of faster travel speeds. The slower speed and higher heat input will produce a slower cooling rate and smaller grain size (generally), but in this case notch toughness can be lower. This is an interesting topic and one that we will plan on covering on more detail.